Product prices and availability are accurate as of 2019-04-16 16:05:53 UTC and are subject to change. Any price and availability information displayed on http://www.amazon.com/ at the time of purchase will apply to the purchase of this product. 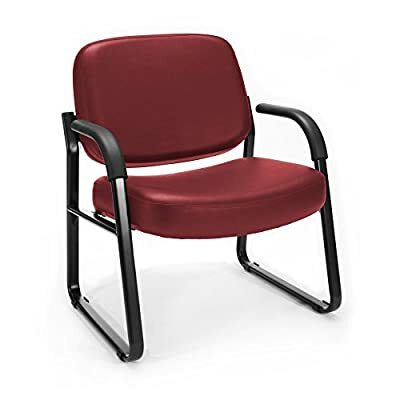 Made of anti-microbial and anti-bacterial vinyl seat. Features sturdy 1.5 in. oval steel tube frame. Armrests for comfortable seating. Variety of colors available. Dimensions: 27.5W x 29D x 34.5H inches.